Green is a wonderful color for your plants and vegetables, but green pond water is a sign that your pond is in serious trouble. There are many things that can cause it, with the most prominent being algae. Understanding what makes pond water green and how to prevent and treat it is extremely important to anyone who wants to maintain a healthy and vibrant pond. 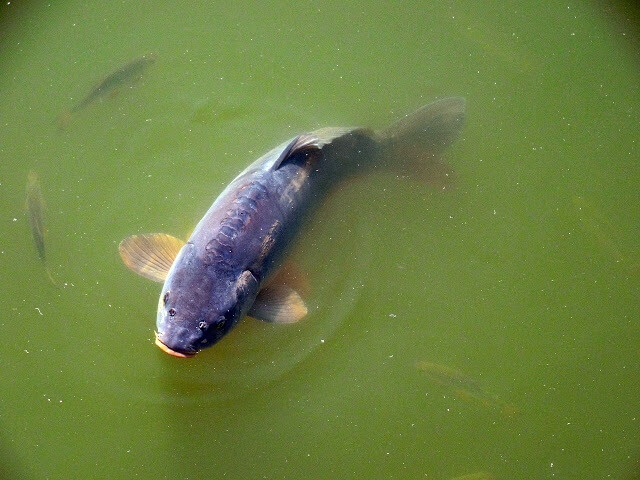 Fish, particularly larger species such as koi, need a certain amount of space, and if too many fish are present, this will reduce aeration will greatly increasing the amount of fish waste that is present in the water. This in turn will lead to degradation in water quality, which will turn it from crystal clear to green. No pond should have more than one fish per each square foot for surface water, and pay attention to how much you feed them. Fish should only be fed once daily as anything more than this will lead to excessive waste and algae. A quality filtration system is indispensable when it comes to maintaining effective pond aeration. When choosing such a system for your pond, you should buy the biggest you can afford. While this will cost more, it will keep your pond water pristine. In addition to mechanical systems, you could also add submerged or floating plants such as bog or marginal as they act as natural filtration systems that will provide the pond with shade, which will keep the temperatures lower while providing shelter for the fish. If you go this route, a minimum of 40 percent of the pond water should be plant covered. Many people like the idea of having a pond or water garden, but are less thrilled about the prospect of maintaining it. Ponds require lots of maintenance, particularly those which are elaborate and or contain fish such as koi. If you’re not changing the water regularly and removing the debris, then the pond water will be subject to an excessive growth of nutrients which will erode the quality. However, you don’t want to overdo it when cleaning the pond, particularly if you’re doing it each day or week. This will result in the filter media material becoming worn which will eliminate the good bacteria which is responsible for keeping the water clean. When it comes to pond maintenance, it is best to clean it once a month, rinsing the filter lightly if you notice that the water is unable to pass through. Of course, many people are busy, particularly young urban professionals. So if you desire a pond but aren’t thrilled about the prospect of cleaning it, you can hire a pond cleaning professional to do it on your behalf. If these steps are not enough to clear up the green water then you’ll likely have to employ a clarifier which is ultraviolet. It will bind the algae in the water so that the filter can then extract it.